The Ganawenima (to take care of ) Case Management Program offers counselling and support services to individuals living with HIV/AIDS and their families. 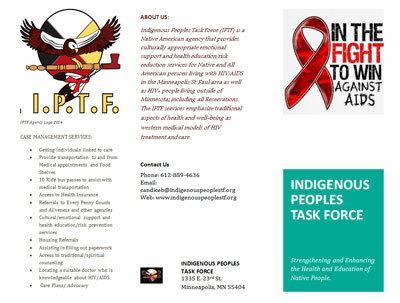 Services include advocacy, assessments, care plans, and referrals to western and traditional medicine. Clients and case managers work in partnership to plan and coordinate services to achieve a healthy, balanced life. Case management provides referrals to the Bridging Project, Community Voice Mail, Every Penny Counts.